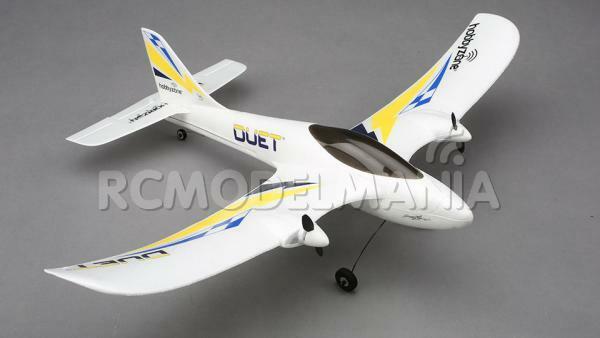 Teach yourself to fly with the Duet™ RTF trainer. 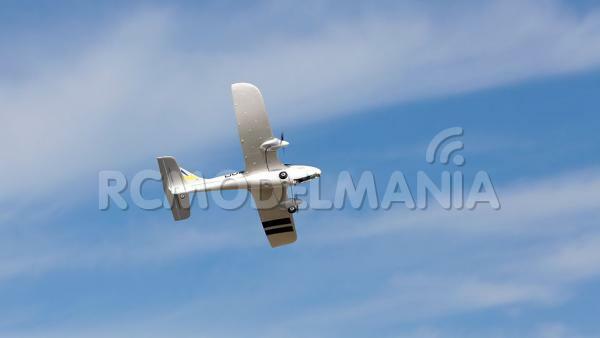 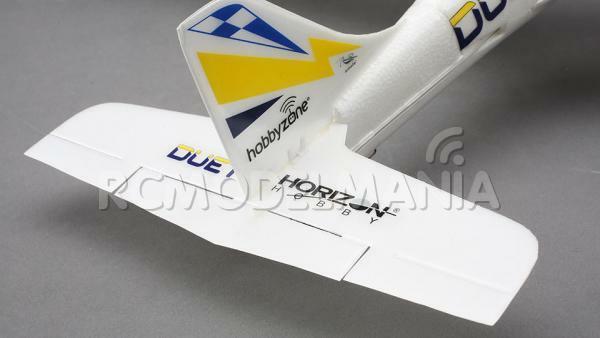 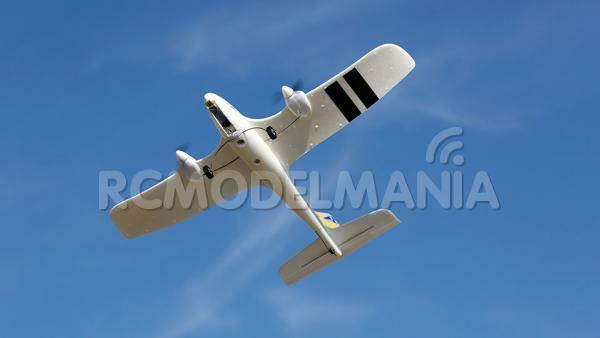 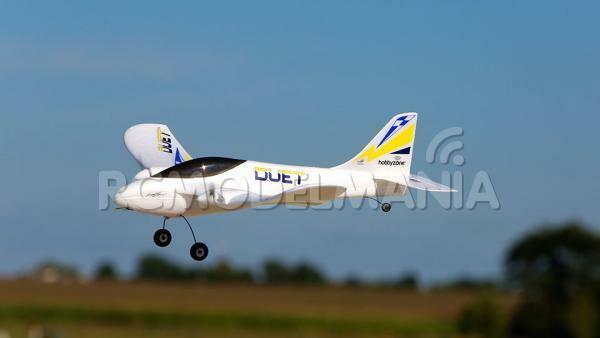 This small RC aircraft flattens the learning curve when mastering the art of flight and assists the novice with some of the more commonly made mistakes once airbourne. 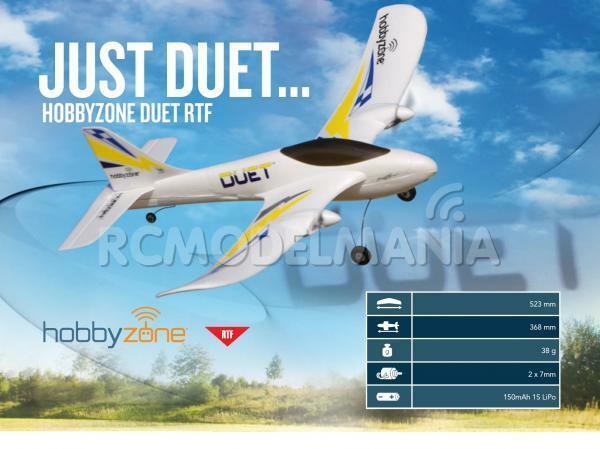 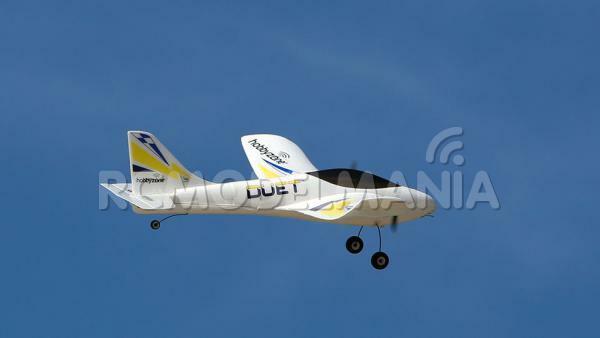 Even if you’ve never flown an RC aeroplane before, you could be in the air with confidence in little to no time with the Duet. 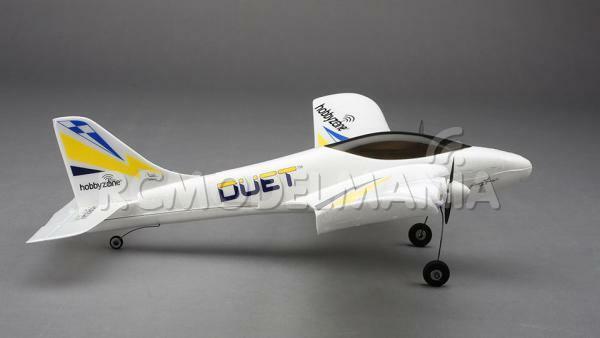 Designed by Champion pilot Quique Somenzini the Duet is constructed from durable materials and can be flown in light winds and spaces as small as a back garden. 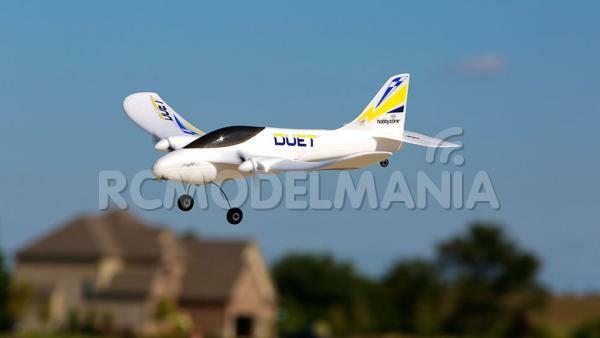 It can even be flown indoors. 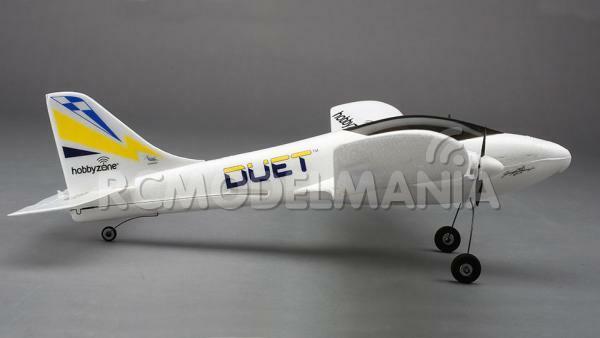 With everything needed to get the model in the air included in the box the Duet provides a complete and economical solution for entry into model flying. 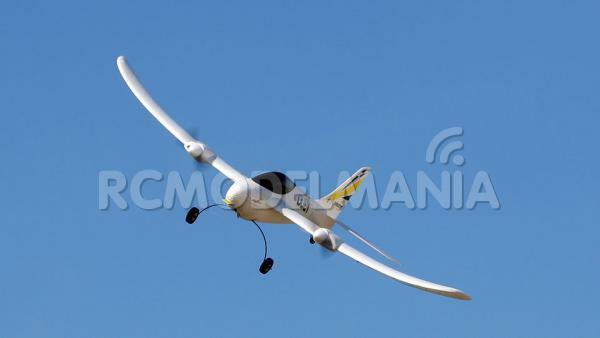 A 2.4Ghz radio system provides control and features fully proportional control of elevator and the twin motors, allowing the model to perform a variety of manoeuvres in the air. 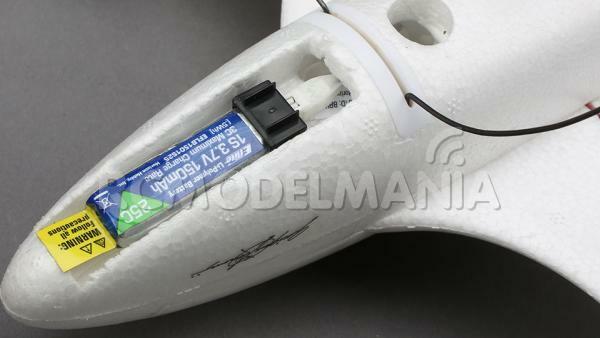 Its inherent stability is supplemented with assistance from Virtual Instructor, which provides a degree of protection from inadvertent control inputs common to first time pilots. 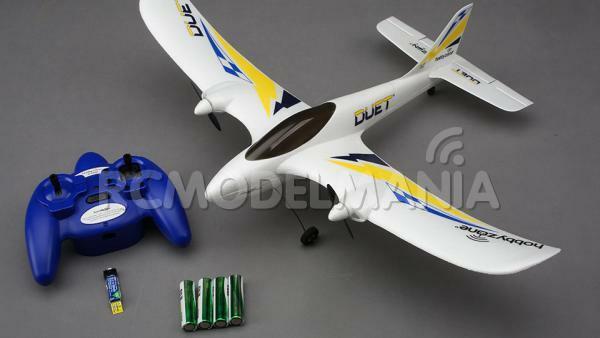 The 1S LiPo flight battery provides ample flight duration and the charger is built into the transmitter, so wherever flying the Duet re-charge is on hand when power runs low. 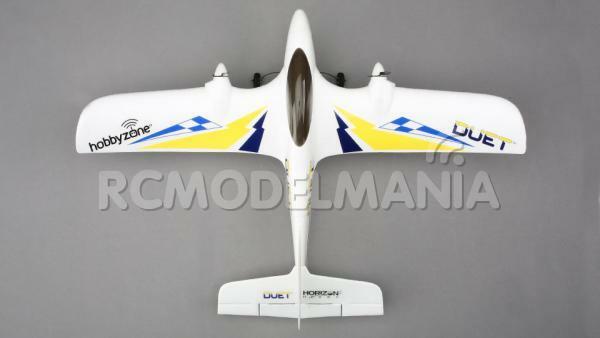 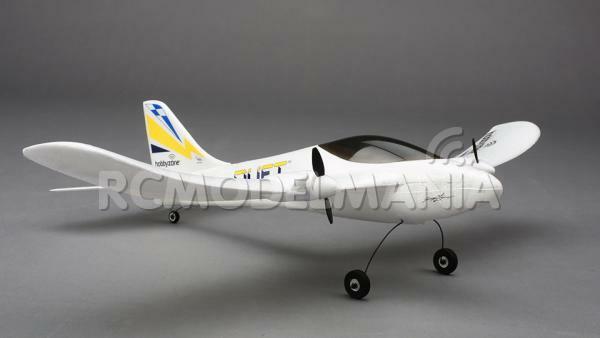 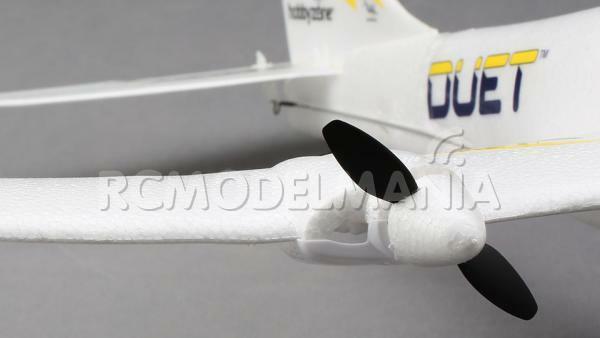 When it comes to flying, the model can either take off and land back on smooth runways on its landing gear, or the landing gear can be quickly and easily removed and the model can be hand launched and belly-landed back on softer surfaces such as grass runways for minimal risk of damage. 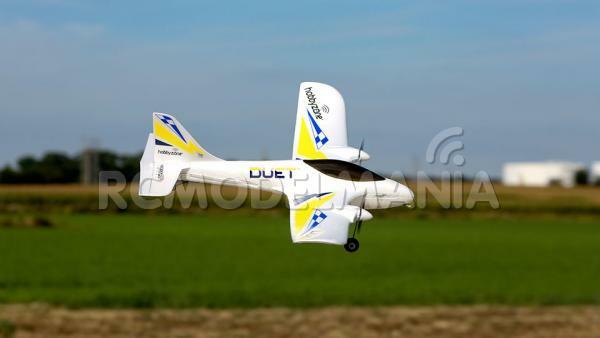 The Duet features a Mirco Pecorari colour scheme that is both attractive and highly visible, which aids with the orientation of the model in the air and helps the pilot to maintain better control. 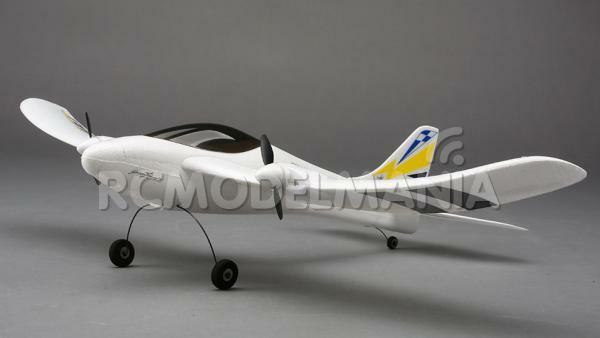 A pilot silhouette sits under the clear canopy and finishes off the model nicely. 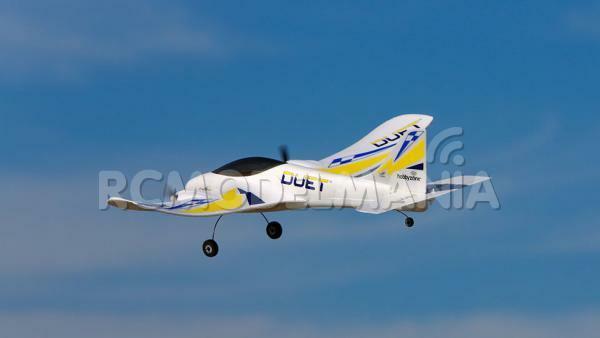 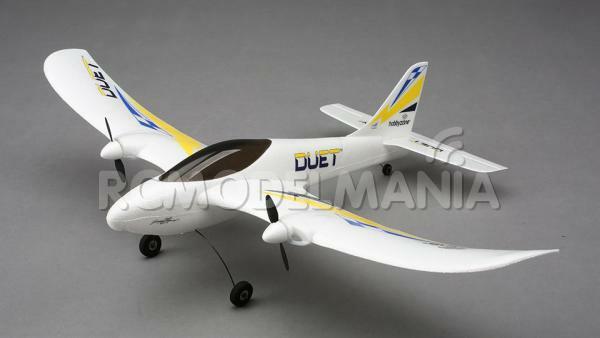 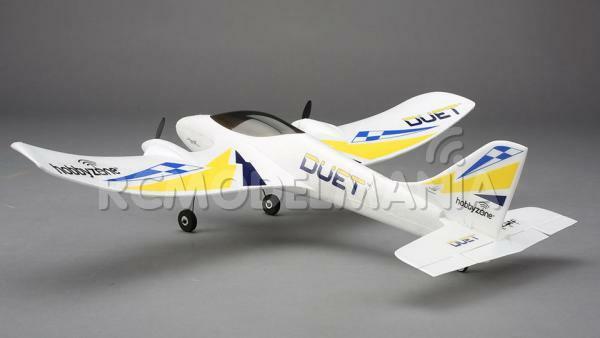 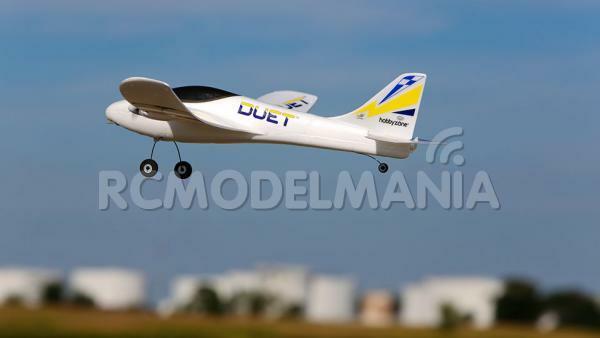 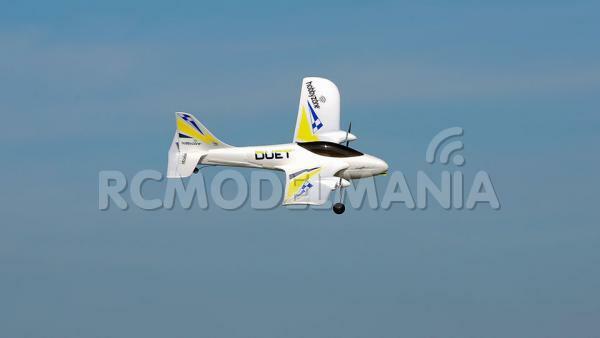 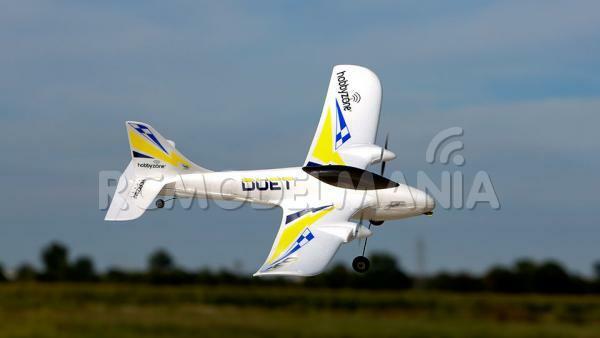 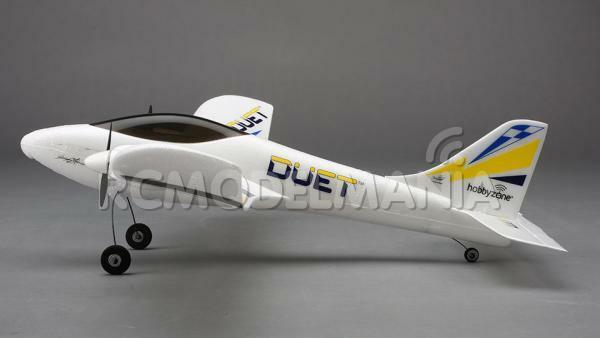 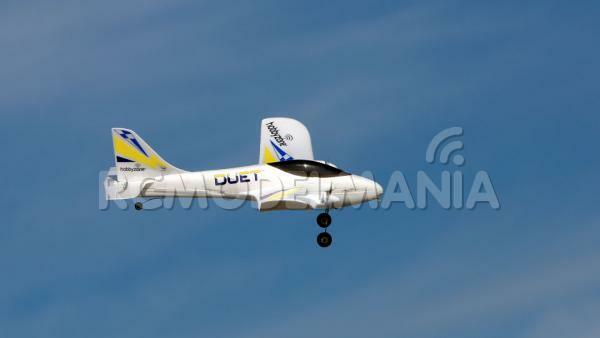 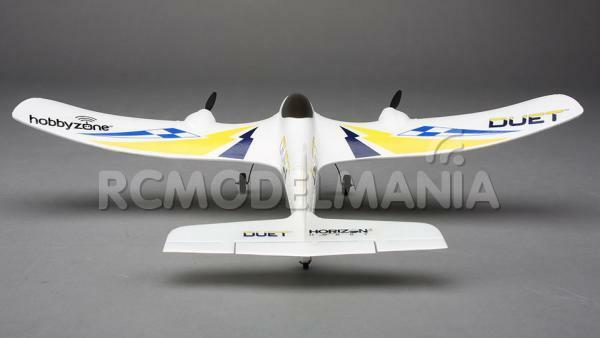 Compact, silent, economical with everything included to go flying, the Duet makes a perfect partner for novice pilots!